Into the Dead franchise reaches 100 million downloads! Thank you to our inspiringly dedicated fan base for achieving such a impressive milestone and for being a part of the incredible journey that has been Into the Dead. Now it is our turn to give back to the community. On December 6, 2012, Into the Dead was released to the world and became an instant success, amassing over 5 million downloads in its first month. 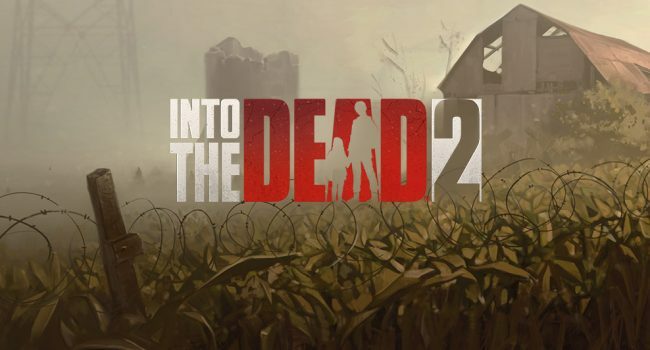 Almost 6 years since its release, players from all over the globe are still enjoying Into the Dead, securing its place as a mobile games classic. We knew that we couldn’t disappoint fans when we announced Into the Dead 2 to the world. We were pleased with how well received it was with new and die hard fans of the franchise. Into the Dead 2 sailed through its first week of launch, garnering over 6 million downloads and spawned a passionate and vibrant community. To celebrate reaching the 100 million download milestone, we would like to give our fans the opportunity to win an exclusive Into the Dead 2 t-shirt and extra prizes that will aid them with their in-game progress. To enter the competition fans will need to head over to the Into the Dead Facebook page and comment what they love about Into the Dead. It’s that easy! To our dedicated and supportive fans, from those who have been here since the beginning, to those that only joined yesterday: we thank you from the Into the Dead team and everyone here at PikPok. Into the Dead and Into the Dead 2 are available for download on the App Store and Google Play.